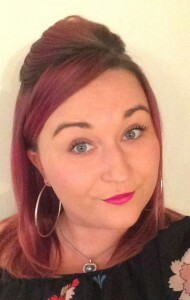 Fire Depot is very pleased to welcome to Chelsey Smillie to the team. She joins as Marketing Assistant and will be working with Group Marketing Manager, Alison Tully and Marketing Assistant, Laura Smith. The Fire Depot Marketing team is responsible for a wide range of marketing activities including producing the Fire Depot catalogue and other product literature, information and videos, events, email and direct mail offers and the website. They also work closely with customers in assisting with their sales and marketing by providing product images and information as required and producing customised catalogues. For expert help and advice on fire safety products, contact the Fire Depot team on 0330 999 2233, email us at sales@firedepot.co.uk or visit www.firedepot.co.uk to see our full range of products.